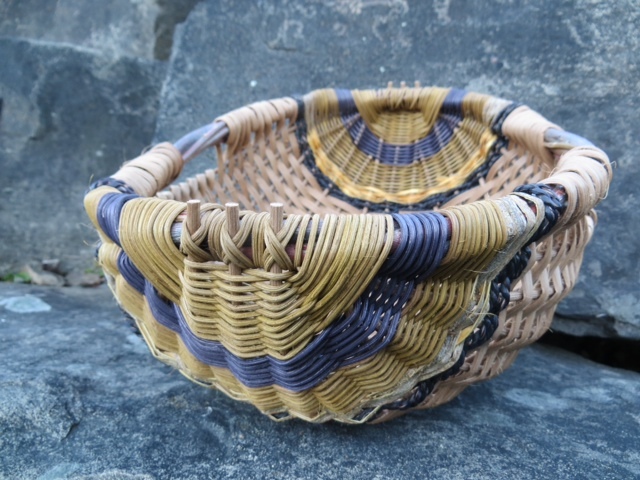 In this variation of a Rib basket we will be using a willow hoop for our rim and incorporating 2 side handles. The combination of dyed reed and seagrass for the weaving adds colour and texture. We will discuss use of natural materials and how to make your own cordage. This is an all time favourite basket!